-SoyalEtegra Visitor Management Software (SE-VMS) help you to verify, monitor, automate and improve visitor recording process with extensive secure reporting for future audit. 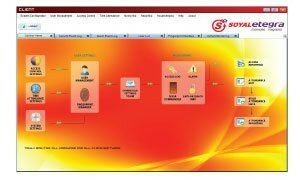 Driving licence printed surface information can be extracted into SE-VMS visitor profile. This offer an alternative for situation where MyKAD is damage or not available.